Grover Furr: Every historian I have read, even those who do not conform to Cold War paradigms, state unproblematically that the Soviet Union invaded Poland in September 1939. But the truth is that the USSR did not invade Poland in September, 1939. Did the Soviet Union Invade Poland on September 17, 1939? Why ask? " We all know" this invasion occurred. "You can look it up!" All authoritative sources agree. This historical event happened. But the the truth is that the USSR did not invade Poland in September, 1939. Even though the chances are at least 99 to 1 that every history book you can find says that it did. I have yet to find an English-language book that gets this correct. And, of course, the USSR had never been an "ally of Nazi Germany. I will present a lot of evidence in support of this statement. There is a great deal more evidence to support what I say – much more than I can present here, and no doubt much more that I have not yet even identified or located. Furthermore, at the time it was widely acknowledged that no such invasion occurred. I'll demonstrate that too. Probably the truth of this matter was another victim of the post-WW2 Cold War, when a great many falsehoods about Soviet history were invented or ment and anything to do with Stalin has become de rigeur, a shibboleth of respectability. And not only among avowed champions of capitalism but among ourselves, on the left, among Marxists, opponents of capitalism, the natural constituency of a movement for communism. Some time ago Doug Henwood tweaked me on the MLG list for "defending Stalin." Doug thinks he knows something about Stalin and the USSR during Stalin’s time. He doesn't! But you can’t blame him too much, since none of us do. More precisely: We "know" a lot of things about the Soviet Union and Stalin, and almost all of those things are just not true.We’ve been swallowing lies for the truth our whole lives. I’ll be brief in this presentation. I’m also preparing a longer version for eventual publication. The Nonaggression Treaty Between Germany and the USSR of August 1939. For a discussion of the events that led up to the Molotov-Ribbentrop Pact of 1939 an excellent account is still Bill Bland, "The German-Soviet Non-Aggression Pact of 1939" (1990). I have checked every citation in this article; most are available online now. It's very accurate, but far more detail than the present article requires. Before we get into the question of the invasion that did not take place, the reader needs to become familiar with some misconceptions about the Nonaggression Treaty and why they are false. These too are based on anticommunist propaganda that is widely, if naively, "believed." The most common, and most false, of these is stated above in the PBS series "Behind Closed Doors"
This is completely false, as any reading of the text of the M-R Pact itself will reveal. Just read the words on the page (see below). It is conventionally stated as fact that the Nonaggression Pact between the USSR and Germany (often called the "Molotov-Ribbentrop Pact" or "Treaty" after the two foreign ministers who signed it) was an agreement to "partition Poland", divide it up. No doubt a big reason for this falsehood is this: Britain and France did sign a Nonaggression Pact with Hitler that "partitioned" another state -- Czechoslovakia. That was the Munich Agreement of September 30, 1938. Poland too took part in the "partition" of Czechoslovakia too. Poland seized a part of the Cieszyn area of Czechoslovakia, even though it had only a minority Polish population. This invasion and occupation was not even agreed upon in the Munich Agreement. But neither France nor Britain did anything about it. Hitler seized the remaining part of Czechoslovakia in March 1939. This had not been foreseen in the Munich Agreement. But Britain, France, and Poland did nothing about it. So the anticommunist "Allies" Britain, France, and Poland really did participate in the partitioning of a powerless state! Maybe that's why the anticommunist "party line" is that the USSR did likewise? But whatever the reason for this lie, it remains a lie. The Soviet Union signed the Nonaggression Pact with Germany not to "partition Poland" like the Allies had partitioned Czechoslovakia, but in order to defend the USSR. The Treaty included a line of Soviet interest within Poland beyond which German troops could not pass in the event Germany routed the Polish army in a war. The point here was that, if the Polish army were beaten, it and the Polish government could retreat beyond the line of Soviet interest, and so find shelter, since Hitler had agreed not to penetrate further into Poland than that line. From there they could make peace with Germany. The USSR would have a buffer state, armed and hostile to Germany, between the Reich and the Soviet frontier. The Soviets -- "Stalin", to use a crude synecdoche (= "a part that stands for the whole") -- did not do this out of any love for fascist Poland. The Soviets wanted a Polish government -- ANY Polish government -- as a buffer between the USSR and the Nazi armies. The utter betrayal of the fascist Polish Government of its own people frustrated this plan. As far as the rest of the world was concerned, the Polish government had two alternatives in the event its army was smashed by an attacking army. 1. It could stay inside the country, perhaps moving its capital away from the invading army. From there it could have sued for peace, or surrendered. 2. The Polish government could have fled to an allied country that was at war with Germany: either France or England. The governments of all other countries defeated by Germany did one or both of these things. The Polish government -- racist, anticommunist, hyper-nationalist, -- in short fascist, as bad as they get -- didn't do either. Rather than fight the Polish government fled into neighboring Rumania. Rumania was neutral in the war. By crossing into neutral Rumania the Polish government became prisoners. The legal word is "interned". They could not function as a government from Rumania, or pass through Rumania to a country at war with Germany like France, because to permit them to do that would be a violation of Rumania’s neutrality, a hostile act against Germany. When Poland had no government, Poland was no longer a state. What that meant was this: at this point Hitler had nobody with whom to negotiate a cease-fire, or treaty. Furthermore, the M-R Treaty’s Secret Protocols were void, since they were an agreement about the state of Poland and no state of Poland existed any longer. Unless the Red Army came in to prevent it, there was nothing to prevent the Nazis from coming right up to the Soviet border. Or -- as we now know they were in fact preparing to do -- Hitler could have formed one or more pro-Nazi states in what had until recently been Eastern Poland. That way Hitler could have had it both ways: claim to the Soviets that he was still adhering to the "spheres of influence" agreement of the M-R Pact while in fact setting up a pro-Nazi, highly militarized fascist Ukrainian nationalist state on the Soviet border. At the end of September a new secret agreement was concluded. In it the Soviet line of interest was far to the East of the "sphere of influence" line decided upon a month earlier in the Secret Protocol and published in Izvestiia and in the New York Times during September 1939. This reflected Hitler’s greater power, now that he had smashed the Polish military. In this territory Poles were a minority, even after the "polonization" campaign of settling Poles in the area during the ‘20s and ‘30s. How do we know this interpretation of events is true? 1. The Polish government did not declare war on USSR. The Polish government declared war on Germany when Germany invaded on September 1, 1939. It did not declare war on the USSR. 2. The Polish Supreme Commander Rydz-Smigly ordered Polish soldiers not to fight the Soviets, though he ordered Polish forces to continue to fight the Germans. 3. The Polish President Ignaz Moscicki, interned in Romania since Sept. 17, tacitly admitted that Poland no longer had a government. 4. The Rumanian government tacitly admitted that Poland no longer had a government. The Rumanian position recognized the fact that Moscicki was blowing smoke when he claimed he had legally resigned on September 30. So the Romanian government fabricated a story according to which Moscicki had already resigned back on September 15, just before entering Rumania and being interned (NYT 10.04.39, p.12). Note that Moscicki himself did not claim this! Rumania needed this legal fiction to try to sidestep the following issue. Once Moscicki had been interned in Rumania – that is, from September 17 1939 on – he could not function as President of Poland. Since resignation is an official act, Moscicki could not resign once he was in Rumania. For our present purposes, here’s the significant point: Both the Polish leaders and the Rumanian government recognized that Poland was bereft of a government once the Polish government crossed the border into Rumania and were interned there. Both Moscicki and Rumania wanted a legal basis – a fig-leaf -- for such a government. But they disagreed completely about this fig-leaf, which exposes it as what it was – a fiction. 5. Rumania had a military treaty with Poland aimed against the USSR. Rumania did not declare war on the USSR. "The Rumanian viewpoint concerning the Rumanian-Polish anti-Soviet agreement is that it would be operative only if a Russian attack came as an isolated event and not as a consequence of other wars." - "Rumania Anxious; Watches Frontier." NYT 09.19.39, p.8. That means Rumania recognized that the Red Army was not allied with Germany, an "other war." This is tacit recognition of the Soviet and German position that Poland no longer had a government, and therefore was no longer a state. 6. France did not declare war on the USSR, though it had a mutual defense treaty with Poland. See m-rpact.html for the reconstructed text of the "secret military protocol" of this treaty, which has been "lost" – i.e. which the French government still keeps "secret"
7. England never demanded that the USSR withdraw its troops from Western Belorussia and Western Ukraine, the parts of the former Polish state occupied by the Red Army after September 17, 1939. On the contrary, the British government concluded that these territories should not be a part of a future Polish state. Even the Polish government-in-exile agreed! 8. The League of Nations did not determine the USSR had invaded a member state. Article 16 of the League of Nations Covenant required members to take trade and economic sanctions against any member who "resorted to war". No country took any sanctions against the USSR. No country broke diplomatic relations with the USSR over this action. However, when the USSR attacked Finland in 1939 the League did vote to expel the USSR, and several countries broke diplomatic relations with it. A very different response! which tells us how the League viewed the Soviet action in the case of Poland. 9. All countries accepted the USSR’s declaration of neutrality. All, including the belligerent Polish allies France and England, agreed that the USSR was not a belligerent power, was not participating in the war. In effect they accepted the USSR’s claim that it was neutral in the conflict. Naturally, a country cannot "invade" another country and yet credibly claim that it is "neutral" with respect to the war involving that country. But NONE of these countries declared the USSR a belligerent. Nor did the United States, the League of Nations, or any country in the world. By September 17, 1939, when Soviet troops crossed the border, the Polish government had ceased to function. The fact that Poland no longer had a government meant that Poland was no longer a state. On September 17 when Molotov handed Polish Ambassador to the USSR Grzybowski the note Grzybowski told Molotov that he did not know where his government was, but had been informed that he should contact it through Bucharest. In fact the last elements of the Polish government crossed the border into Rumania and so into internment during the day of September 17, according to a United Press dispatch published on page four of the New York Times on September 18 with a dateline of Cernauti, Rumania. Without a government, Poland as a state had ceased to exist under international law. This fact is denied -- more often, simply ignored -- by anticommunists, for whom it is a bone in the throat. We take a closer look at this issue in the next section below. But a moment's reflection will reveal the logic of this position. With no government -- the Polish government was interned in Rumania, remember -- there is no one to negotiate with; no body to which the police, local governments, and the military are responsible. Polish ambassadors to foreign countries no longer represent their government, because there is no government. EVERY definition of a "state" recognizes the necessity of a government or "organized political authority." Once the Polish government crossed the border into Rumania, it was no longer a "government." Even the Polish officials of the day recognized this by trying to create the impression that "the government" had never been interned since it had been handed over to somebody else before crossing into Rumania. So EVERYBODY, Poles included, recognized that by interning themselves in Rumania the Polish government had created a situation whereby Poland was no longer a "state." This is not just "a reasonable interpretation" – not just an intelligent, logical deduction but one among several possible deductions. As I have demonstrated in this paper, it was virtually everybody's interpretation at the time. Every major power, plus the former Polish Prime Minister himself, shared it. Once this is problem is squarely faced, everything else flows from it. * The Secret Protocol to the M-R Pact was no longer valid, in that it was about spheres of influence in "Poland", a state. 2. Let Hitler send the Nazi army right up to the Soviet border. * Since the Polish state had ceased to exist, the Soviet-Polish nonaggression pact was no longer in effect. The Red Army could cross the border without "invading" or "committing aggression against" Poland. By sending its troops across the border the USSR was claiming sovereignty, so no one else could do so – e.g. a pro-Nazi Ukrainian Nationalist state, or Nazi Germany itself. * Legitimacy flows from the state, and there was no longer any Polish state. Therefore the Polish Army was no longer a legitimate army, but a gang of armed men acting without any legitimacy. Having no legitimacy, the Polish Army should have immediately laid down its arms and surrendered. Of course it could keep fighting -- but then it would no longer be fighting as a legitimate army but as partisans. Partisans have NO rights at all except under the laws of the government that does claim sovereignty. * Some Polish nationalists claim that the Soviets showed their "perfidy" by refusing, once they had sent troops across the Soviet frontier, to allow the Polish army cross the border into Rumania. But this is all wrong. The USSR had diplomatic relations with Rumania. The USSR could not permit thousands of armed men to cross the border from areas where it held sovereignty into Rumania, a neighboring state. Imagine if, say, Mexico or Canada tried to permit thousands of armed men to cross the border into the USA! All this is referred to directly in a Ribbentrop (German Foreign Minister)-to-Schulenburg (German ambassador to Moscow) communication of September 15-16 -- Telegram No. 360 of 15 September 1939 -- with its reference to "the possibility of the formation in this area of new states." "Nor can it be demanded of the Soviet Government that it remain indifferent to the fate of its blood brothers, the Ukrainians and Byelo-Russians inhabiting Poland, who even formerly were without rights and who now have been bandoned entirely to their fate. The Soviet Government deems it its sacred duty to extend the hand of assistance to its brother Ukrainians and brother Byelo-Russians inhabiting Poland." - TASS, September 17, 1939; quoted in New York Times September 18, 1939, p. 5; also Jane Degras (Ed. ), Soviet Documents on Foreign Policy 1933-1941, vol. III (London/New York: Oxford University Press, 1953), pp. 374-375. The German government was already considering that Poland no longer existed -- there's no reference to "Poland", only to "the area lying to the East of the German zone of influence", etc. A word of explanation regarding the Soviet reference to "the fate of its blood brothers, the Ukrainians and Byelo-Russians inhabiting Poland." At the Treaty of Riga signed in March 1921 the Russian Republic (the Soviet Union was not officially formed until 1924), exhausted by the Civil War and foreign intervention, agreed to give half of Belorussia and Ukraine to the Polish imperialists in return for a desperately-needed peace. We use the words "Polish imperialists" advisedly, because Poles -- native speakers of the Polish language -- were in the small minority in Western Belorussia and Western Ukraine, the areas that passed to Poland in this treaty. The Polish capitalist regime then encouraged ethnic Poles to populate these areas to "polonize" them, and put all kinds of restrictions on the use of the Belorussian and Ukrainian languages. Up till the beginning of 1939, when Hitler decided to turn against Poland before making war on the USSR, the Polish government was maneuvering to join Nazi Germany in a war on the USSR in order to seize more territory. ... 2. I then spoke to M. Beck once more about the policy to be pursued by Poland and Germany towards the Soviet Union and in this connection also spoke about the question of the Greater Ukraine and again proposed Polish-German collaboration in this field. Polish Foreign Minister Beck was telling Ribbentrop that Poland would like to seize ALL of the Ukraine from the USSR, for that was the only way Poland could have had "a connection with the Black Sea." In occupying Western Belorussia and Western Ukraine the USSR was reuniting Belorussians and Ukrainians, East and West. This is what the Soviets meant by the claim that they were "liberating" these areas. The word "liberation" is conventionally used when an occupying imperialist power withdraws, and that's what happened here. * Recognizing it would be incompatible with the neutrality of the USSR in the war. It would be an act of hostility against Germany, with which the USSR had a non-aggression pact and a desire to avoid war. (The USSR did recognize it in July 1941, after the Nazi invasion). * The Polish government-in-exile could not exercise sovereignty anywhere. * Most important: if the USSR were to recognize the Polish government-in-exile, the USSR would have had to retreat back to its pre-September 1939 borders -- because the Polish government-in-exile would never recognize the Soviet occupation of Western Belorussia and Western Ukraine. Then Germany would have simply marched up to the Soviet frontier. To permit that would have been a crime against the Soviet people, of course. And, as the British and French soon agreed, a blow against them, and a big boost to Hitler as well. No other government during WW2 did anything remotely like what the Polish government did. Many governments of countries conquered by the Axis formed "governments in exile" to continue the war. But only the Polish government interned itself in a neutral country, thereby stripping itself of the ability to function as a government and stripping their own people of their existence as a state. What should the Polish government leader have done, once they realized they were completely beaten militarily? · The Polish government should have remained somewhere in Poland – if not in the capital, Warsaw, then in Eastern Poland. If they had set up an alternative capital in the East -- something the Soviets had prepared to do East of Moscow, in case the Nazis captured Moscow -- then they could have preserved a "rump" Poland. There it should have capitulated – as, for example, the French Government did in July 1940. Or, it could have sued for peace, as the Finnish government did in March 1940. Then Poland, like Finland, would have remained as a state, though it would certainly have lost territory. 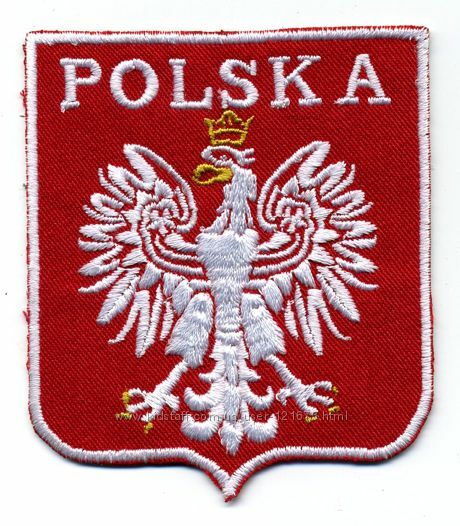 · Or, the Polish government could have fled to Great Britain or France, countries already at war with Germany. Polish government leaders could have fled by air any time. Or they could have gotten to the Polish port of Gdynia, which held out until September 14, and fled by boat. · Why didn't they? Did Polish government leaders think they might be killed? Well, so what? Tens of thousands of their fellow citizens and soldiers were being killed! or Maybe they really did believe Rumania would violate its neutrality with Germany and let them pass through to France? If they did believe this, they were remarkably stupid. There's never been any evidence that the Rumanian government gave them permission to do this. or Did they believe Britain and France were going to "save" them? If so, that too was remarkably stupid. Even if the British and French really intended to field a large army to attack German forces in the West, the Polish army would have had to hold against the Wehrmacht for a month at least, perhaps more. But the Polish Army was in rapid retreat after the first day or two of the war. Or, maybe they fled simply out of sheer cowardice. That is what their flight out of Warsaw, the Polish capital, suggests. Everything that happened afterwards was a result of the Polish government being interned in Rumania. * A "rump" Poland might finally have agreed to make a mutual defense pact that included the USSR. That would have restarted "collective security", the anti-Nazi alliance between the Western Allies and the USSR that the Soviets sought but UK and French leaders rejected. · certainly prevented many millions of deaths of Soviet citizens. * Poland could have emerged from WW2 as an independent state, perhaps a neutral one, like Finland, Sweden, or Austria. All this, and more – if only the Polish government had remained in their country at least long enough to surrender, as every other government did.